The judge denied Goodyear’s request, never made that call and we published our story. Companies historically have used the courts to try to block the release of sensitive documents, but asking a judge to take the bold approach of calling a reporter directly is virtually unheard of. The hearing illustrated the lengths to which Goodyear has gone to shield records from the public that document how many times the G159 has failed on the road. Goodyear’s attorney indeed emphasized how important this was to the company, according to an audio recording of the hearing obtained this week. “You know, your honor, how Goodyear has argued and taken measures to protect these documents,” Goodyear’s attorney, Foster Robberson, said. John Hannah, the Maricopa County Superior Court judge overseeing the proceeding, ultimately denied Goodyear’s request, effectively saying it wasn’t his place to call a reporter. But that followed more than an hour of deliberations between Goodyear’s attorney and the court, in which Robberson asserted that I had taken a “wholly illegitimate route” to obtain the documents. But in the end, the extraordinary proceeding ended with my straightforward effort of obtaining documents becoming a legal ruling for Arizona courts. The issue, Robberson explained, is the clerk’s release of the records to me earlier in the day. “We believe that they were released ... by the Clerk of the Court in error,” he said. 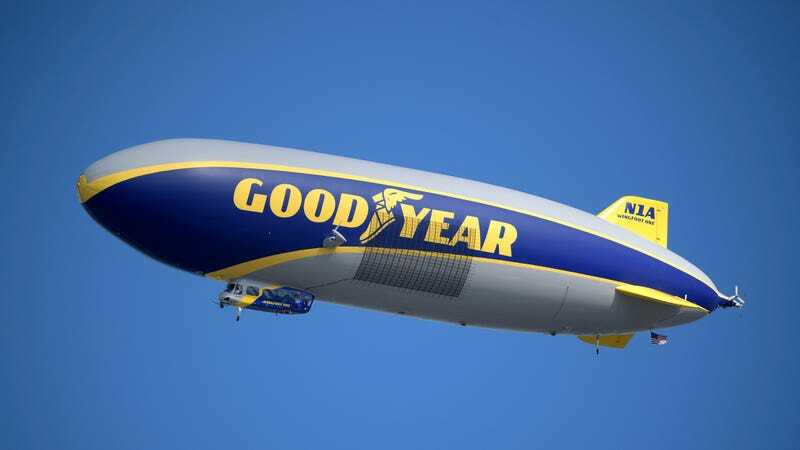 The records were supposed to be kept sealed, pending an appeal from Goodyear, according to the company’s lawyer. Robberson goes on to wonder aloud how I got the documents. “I don’t know how Mr. Felton happened to be at the Clerk’s Office at some hour this morning, with all or some portion of Your Honor’s order in hand and how he managed to get these documents from the Clerk of the Court, in contravention of the order,” he said. Here’s what happened. I read Hannah’s opinion. I called the Clerk’s Office. I asked for a document cited in the decision. Robberson explained that he had a similar incident occur before, where his office had convinced a television reporter in Arizona not to report on a confidential document that was leaked to her until the proceedings in court had wrapped up. “We think that the court has the loudest megaphone here, that he’s not supposed to have these documents, that he will be undercutting an order of the court if he goes ahead and publishes them, and that parties in this case will essentially have rights taken from them,” Robberson said. The U.S. Supreme Court has long held that news outlets can publish information that may violate a confidentiality order they’re not a party to, so long as the publication is truthful, of public concern, and legally obtained. In Bartnicki v. Vopper, the court held that a radio commentator shouldn’t be punished for broadcasting the contents of an illegally intercepted phone conversation, because the journalist hadn’t done anything illegal to obtain the tape. But in this instance, I obtained the documents directly from the clerk of the court, who had explained to me the records were indeed unsealed. Judge Hannah struggled with Goodyear’s position, and said he couldn’t see how I’d be required to abide by the protective order in the case. And given the extensive amount of failure claim data provided to NHTSA, and the public interest in the case—following our story Wednesday, the Associated Press and Wall Street Journal wrote about NHTSA’s investigation—it’s unquestionable that reporting on the documents is newsworthy. Earlier, the judge made it clear that there were two legal issues to grapple with: Whether Goodyear’s request represented a First Amendment issue, and whether the judge had any business “in effect enjoining the publication of this information,” meaning preventing me from publishing the documents. Robberson disagreed that it was a First Amendment issue, nor whether it’s a question of if I’m subject to the protective order. “I don’t believe there is a First Amendment issue when the court is simply providing information to this reporter and asking the reporter to do the right thing,” he said. Since the court knew where I had obtained the documents, it should remedy the situation by calling me directly and explaining this, he argued. It’s unclear if Goodyear would’ve acted differently had I obtained the documents from a secret source in a dimly lit parking lot, rather than from the clerk of the court that’s overseeing a G159 case. The company didn’t immediately respond to a request for comment. Robberson emphasized numerous times that it was Goodyear’s position these documents weren’t obtained legitimately. And, really, Goodyear doesn’t think a call is that big of an ask, he said. “And all we’re asking the court to do is give those facts to this reporter,” he said. He went on, saying it’s not as if Goodyear is asking Hannah to detain me. Judge Hannah ultimately denied Goodyear’s request. We published our story, including Kurtz’s letter, Wednesday night. Separately, Goodyear notified the court that it intends to appeal Hannah’s decision to unseal the coming days. Until then, you can find below the full audio of the hearing as well as a transcript of the proceedings.